Save money with this package deal. 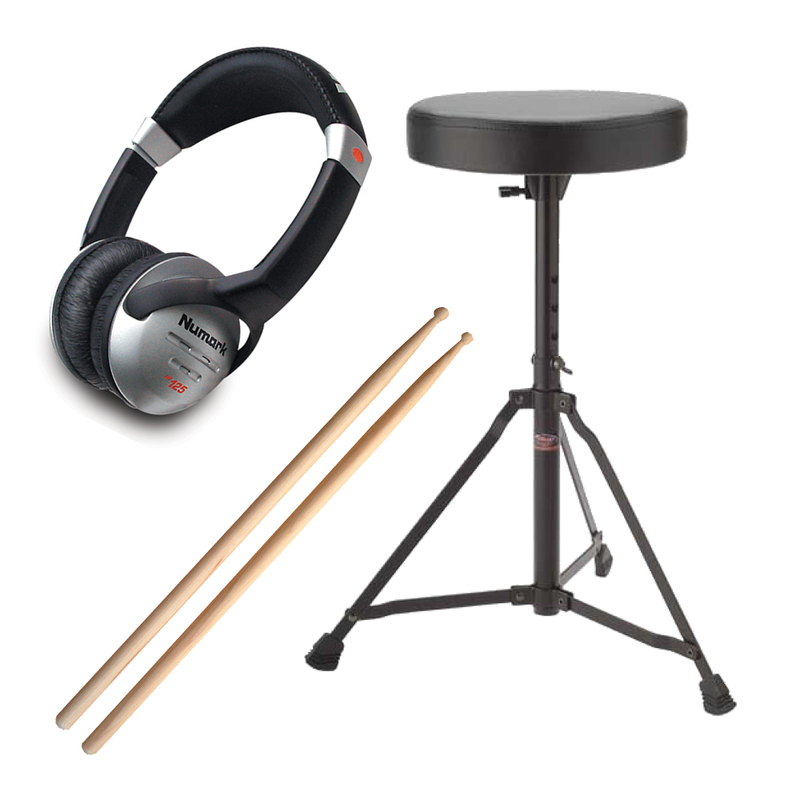 Contains the Alesis Command MESH Kit, Drum Stool, Sticks & Numark HF125 Headphones. 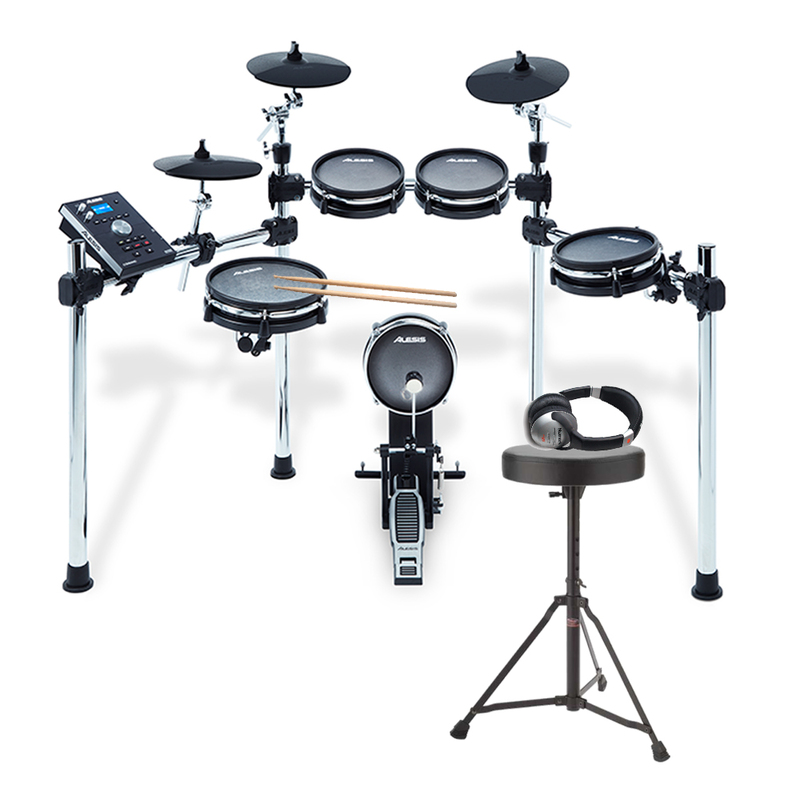 The Alesis Command Mesh Kit is a complete 8-piece electronic drum kit that includes everything the modern drummer needs to play like a pro. 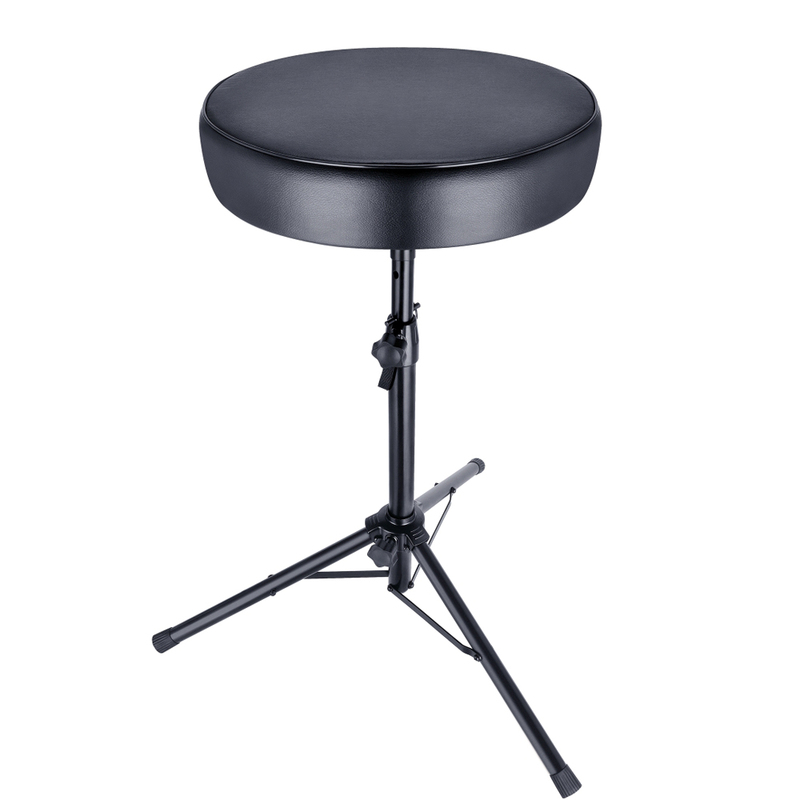 It features a 10” dual-zone mesh snare and three 8” dual-zone mesh tom pads for great feel and natural response, plus an 8” mesh kick tower pad with pedal. Three cymbals provide a virtually unlimited range of playing expression: a ride cymbal, crash cymbal with choke function and hi-hat. Not only do the mesh heads deliver unmatched response and playability, the compact size means the Command Kit goes where larger kits can’t. 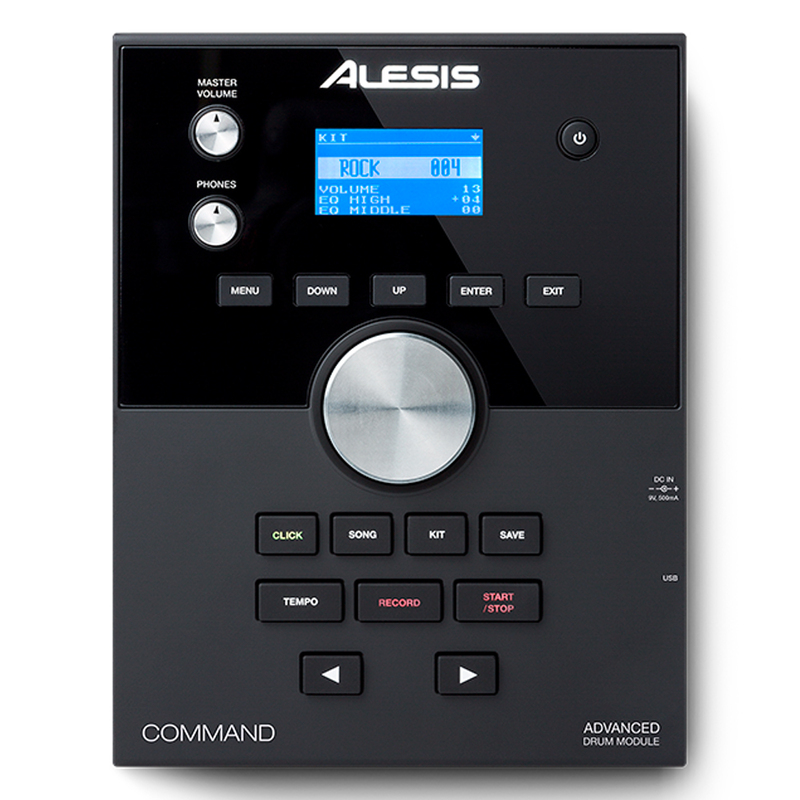 Discover the new standard in electronic drums with the Alesis Command Mesh Kit. An authentic response and above all dependable, the Alesis Command Mesh Kit features an ultra-robust build that guarantees to withstand the rigors of modern drumming. 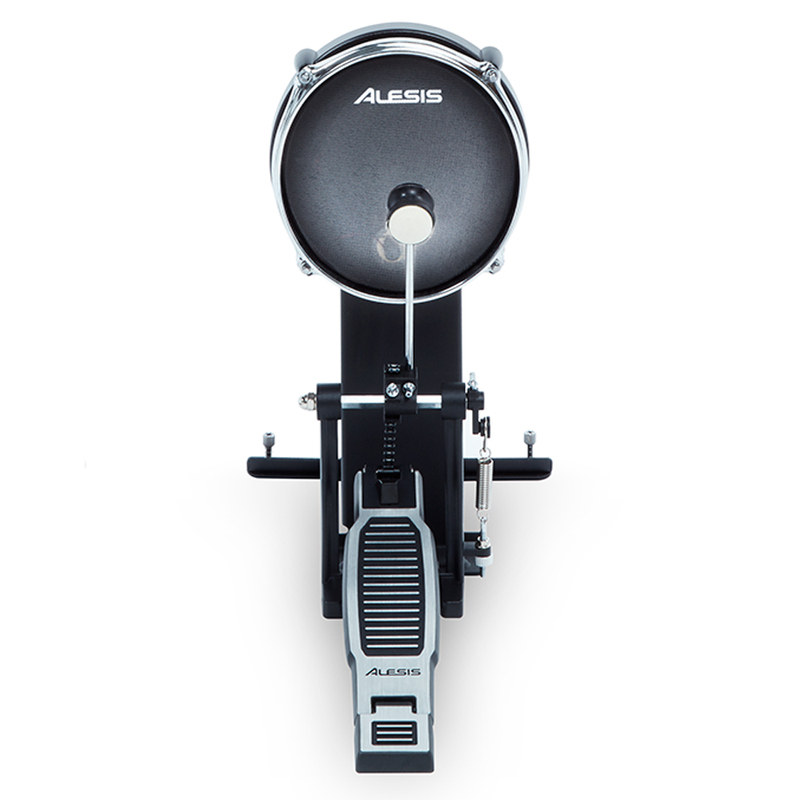 Featuring a collapsible chrome 4-post mounting rack, the Alesis Command Mesh kit guarantees to keep everything solid and secure so drummers can truly express themselves without the nuisance of any “travel” or loss of positioning. 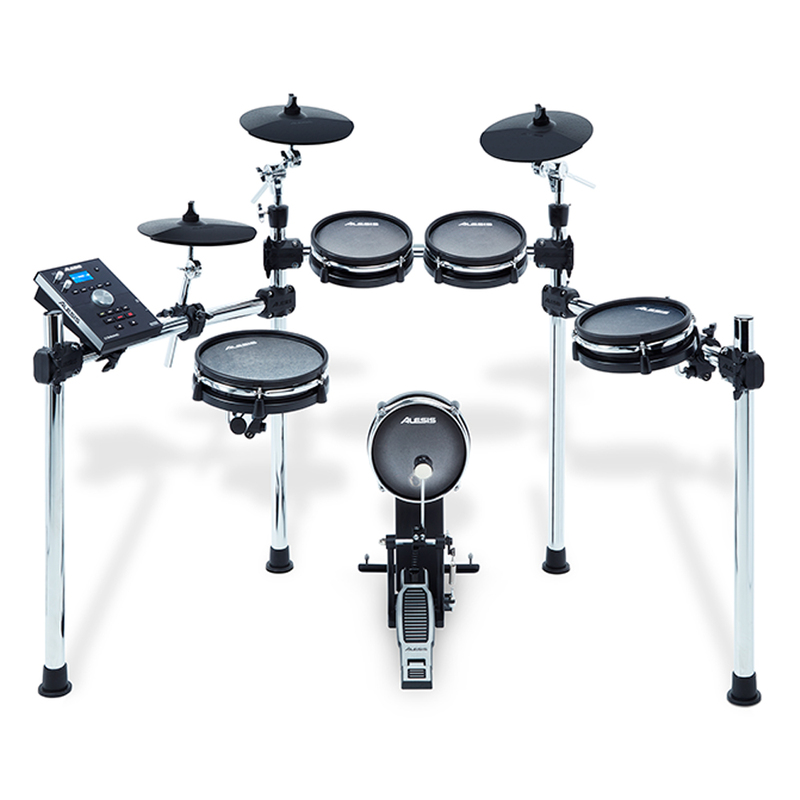 With its convenient collapsible design, the Command Mesh kit tidy’s away in minutes, providing the ultimate solution for an authentic drumming experience with all the added benefits a modern electronic kit provides. The creative-core of the Command Mesh Kit, thee Command Drum Module features 70 drum kits (50 factory + 20 user) with over 600 sounds, 60 play-along tracks built-in and even an on-board metronome. 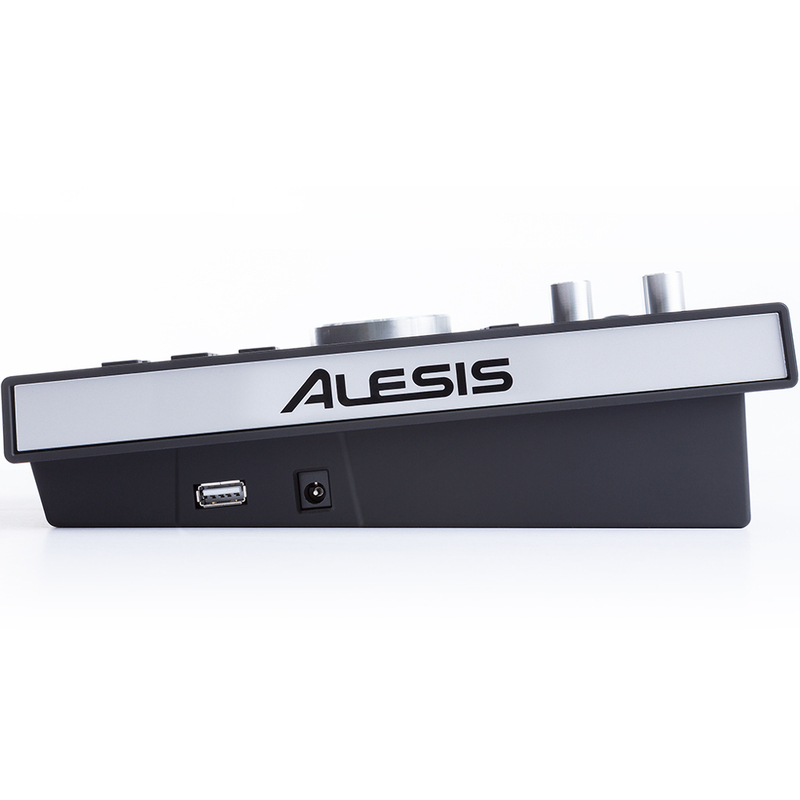 Total customisation guaranteed, the Command Drum Module also features a USB memory stick input, perfect for loading 3rd party .WAV samples and assigning these to any zone of any mesh pad on the Command Mesh Kit. With customised kit configurations, loading drum, melodic, bass, play-along tracks and FX samples couldn’t be simpler - the sonic and creative possibilities are virtually limitless! Whatever the situation demands, the Command Drum Module guarantees to meet any need thanks to a plethora of connectivity options. 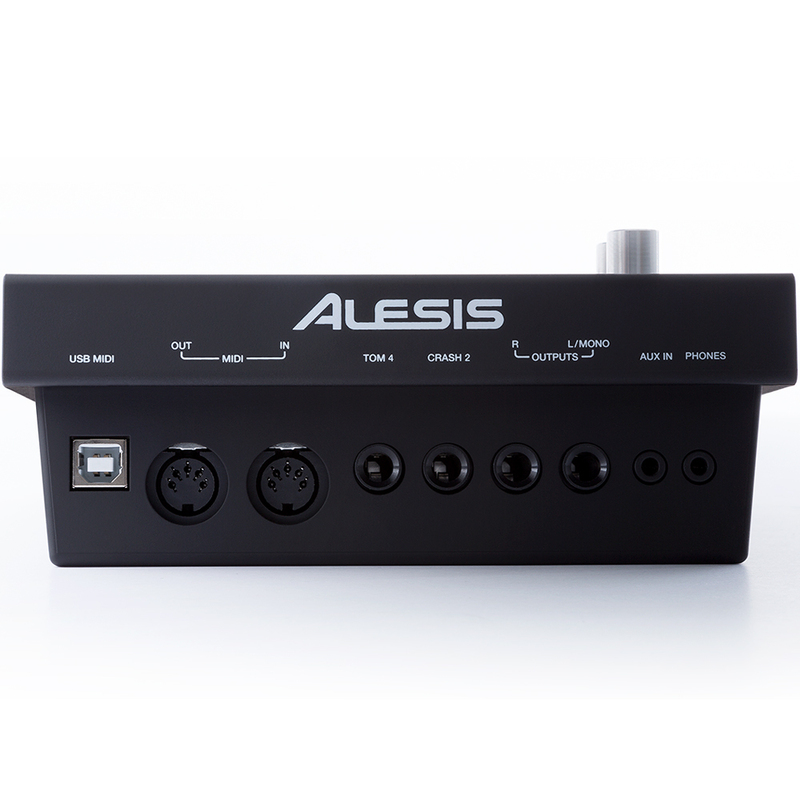 Connect smartphones, MP3 players and any Aux-compatible device to the Command Drum Module’s conveniently located Aux input; take command of your virtual instrument collection via a thoughtful USB output, engineered to transmit MIDI information directly to a computer; get the most out of your MIDI-compatible equipment thanks to MIDI In/Out ports, perfect for uniting your synthesiser, drum machines or any studio peripheral with a MIDI compatible input.